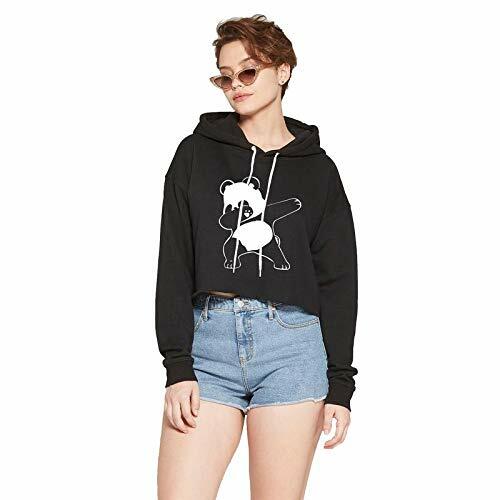 The Funky Monkey Crop Hoodie is a twist on the traditional hoodie featuring a cropped length and oversized hood for a modern appeal. Perfect to wear with any high waisted bottom for a casual look. Also with perfect print reflecting the Feminist side of you. So grab this Feminist crop hoodie in sale itself. And now the most famous DAB PANDA design is available on crop hoodies for ladies. So buy this cute little DAB PANDA Crop Hoodie for yourself or for your girlfriend,wife,fiance,sister,etc.